Gaga/dancers with Batsheva Repertory Gaga is a movement language which Ohad Naharin developed over the course of many years and which is applied in daily practice and exercises by the Batsheva Dance Company members. The language of Gaga originated from the belief in the healing, dynamic, ever-changing power of movement, and it continues to evolve today. Gaga is a new way of gaining knowledge and self-awareness through your body. Gaga provides a framework for discovering and strengthening your body and adding flexibility, stamina, and agility while lightening the senses and imagination. Gaga raises awareness of physical weaknesses, awakens numb areas, exposes physical fixations, and offers ways for their elimination. The work improves instinctive movement and connects conscious and unconscious movement, and it allows for an experience of freedom and pleasure in a simple way, in a pleasant space, in comfortable clothes, accompanied by music, each person with himself and others. Rules of conduct: No viewers are allowed. No late comers are allowed. Attire: Wear comfortable clothes and go barefoot or wear socks. Michal Sayfan, Rehearsal Director, Batsheva – the Young Ensemble, was born in Israel. She danced in Nadine Bommer’s Dance Company between 2001 and 2004 before joining Batsheva – the Young Ensemble in 2005. She performed with Batsheva Dance Company between 2008 and 2011 and worked as a freelance dancer ever since. Having taught Gaga and Ohad Naharin’s works in Israel and abroad since 2006, Michal has also been the artistic director of Gaga Intensive courses in Tel Aviv since 2011. During her Naturopathy studies in Broshim Campus, Tel Aviv University, she became a clinical Herbalist & Reflexologist. In 2016, she was appointed as Batsheva Ensemble’s Rehearsal Director. 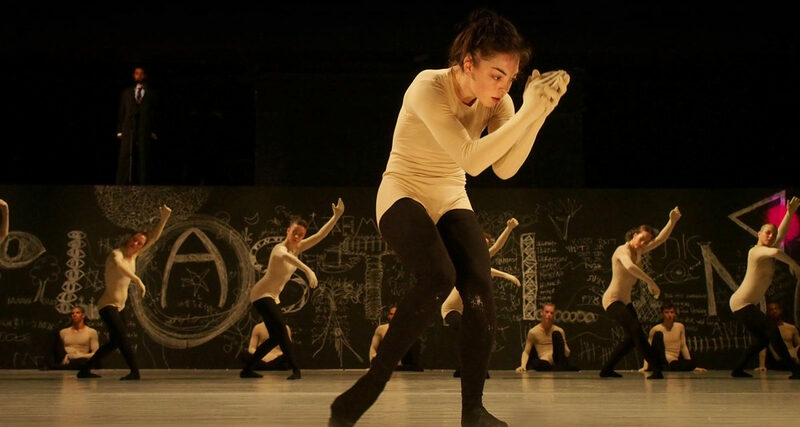 Batsheva – The Young Ensemble performs Ohad Naharin’s Bessie Award-winning dance, Naharin’s Virus, inspired by the great Austrian writer Peter Handke’s play, Offending the Audience. Originally created in collaboration with Batsheva dancers, the work employs Naharin’s coolly seductive aesthetic to explore the boundaries of language. Naharin’s Virus features a varied soundtrack which includes classical music, original music by Karni Postel, and adaptations of traditional Arabic music by Habib Alla Jamal and Shama Khader.